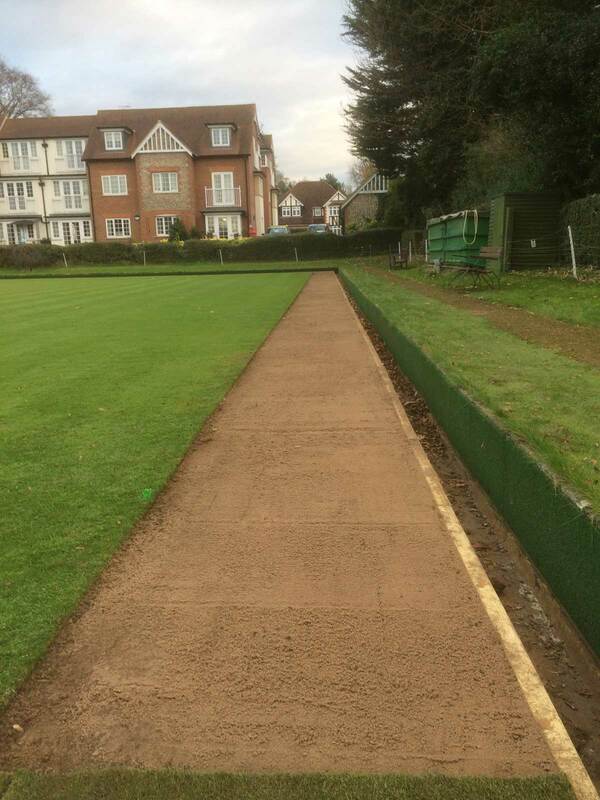 The deterioration of the timber edge, at Epsom Bowling Club, was causing the perimeter of the green to sink. 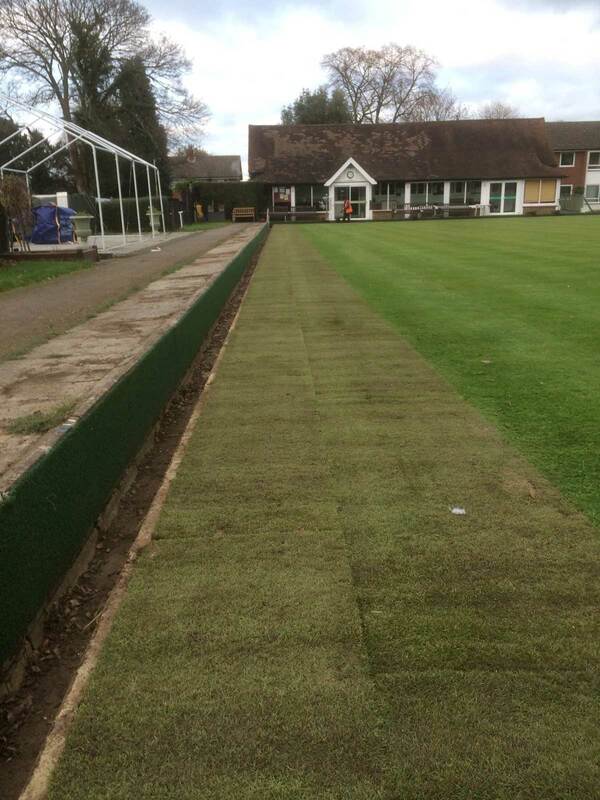 We removed a 1.2m strip of turf and cleared the remaining timber. 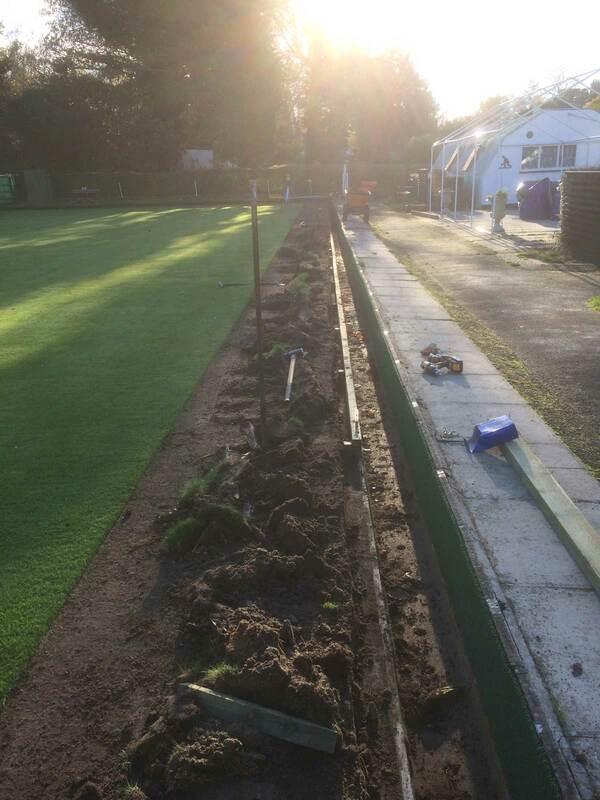 Laser equipment was used to install the new timber edge and rootzone imported to reinstate the green to the desired level. 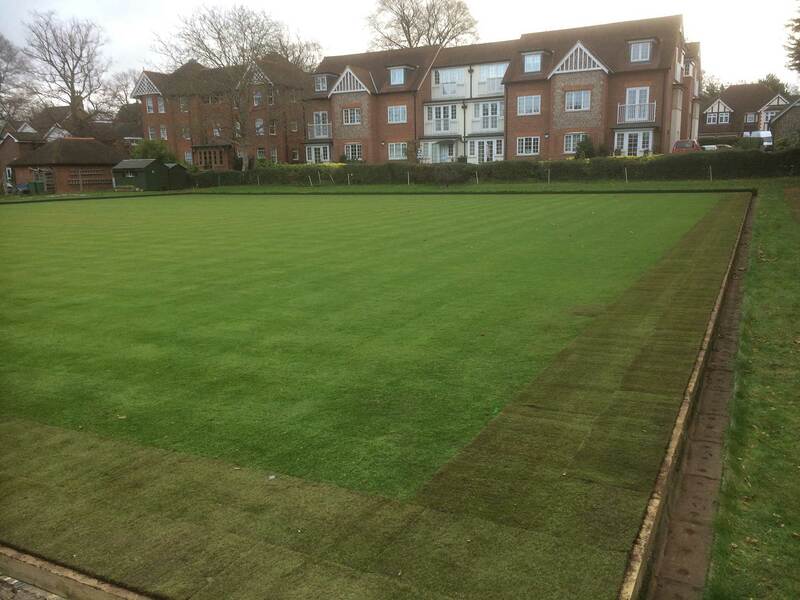 Finally, we installed Tillers Turf Greens on Soil.